The Mountain Primal Meat Co. website, mountainprimal.com, pays tribute to “those brave few who charged trenches, stormed beaches, flew sorties, took hills, and raised flags. 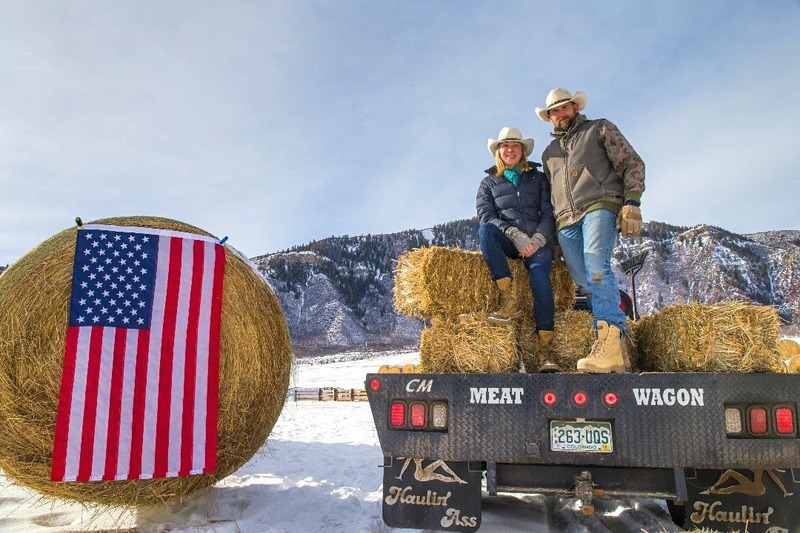 The Mountain Primal ranch family employs several military veterans. Among them is Trevor, an Agricultural Manager who has just left the Marine Corps Reserve where he had been serving as a marine tanker; Jay, the Director of Sales & Marketing who is a marine veteran that served as an infantry machine gunner; and Todd, the Shop Manager, who is a US Navy veteran that served as a construction engineer in the Seabees. We talked with dedicated Boot Campaign supporter and patriot John Maas Sr., the founder and CEO of the sustainable beef and pork enterprise that is focused on quality and its animals’ wellness. Do you have military service in your family? 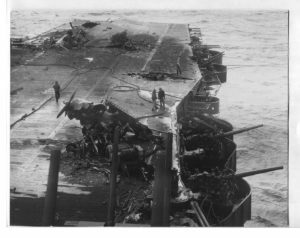 Within my family, my paternal grandfather , Robert J. Maas served as a United States Marine during World War II, aboard the aircraft carrier USS Saratoga. He fought off kamikaze attacks and their resultant impact fires at the Battle of Iwo Jima. My maternal grandfather, Kenneth O. Monge, served with the United States Army Air Corps, a part of the 783rd Bomb Squadron, as a nose-gunner in a Consolidated B-24 Liberator and flew 25 flight mission before being shot down over Germany on July 7th, 1944. He escaped and parachuted out of his plane’s front landing gear and traveled by night, but was eventually captured by German soldiers. He would spend the rest of the war as a POW until he and his fellow prisoners were liberated by British soldiers after Germany surrendered. John Maas’ maternal grandfather Kenneth O. Monge was shot down and was a prisoner of war until the end. He weighed 95 pounds when he was rescued. The bravery and character of these two men before, during, and after their military service has inspired me throughout my entire life and forms a large part of my professional persona. Why is it so important to give back when veterans come back from service? Pursuing your next path in life is never a clean-cut process and leaving the military is one that carries not just the typical challenges of a big life change but also a huge depth of emotions both good and bad. Feelings of loneliness, loss of purpose, and lack of direction can become huge obstacles to overcome, especially alone. By injecting yourself into the lives of veterans, in any capacity, you can start to find opportunities to help further. Whether that’s pointing them in a direction they didn’t know existed, listening to their aspirations and helping them network towards them, or giving them a platform to be heard, your mere presence and propensity to serve in their lives can help shape their future. Why did you choose to support Boot Campaign? Boot Campaign had a very clear mission. They have a good plan with what they are going to do with the funds they receive. What about Boot Campaign’s Health and Wellness program was appealing for you? It seemed to create diagnostic measures that weren’t there for other people. People could come and get into the Health and Wellness piece, and very quickly could be put on a supported path towards finding the specific help they need. It is a duty for people to help here on the home front. Supporting organizations like Boot Campaign should be seen as an honorable service to our country and veterans, similar to what was done during WWII like metal collections and victory gardens. In honor of Veterans Day, Mountain Primal is offering 10% off of purchases made through 11:59 PM on November 17. on mountainprimal.com. Twenty percent of the proceeds benefit Boot Campaign when you use code bootcampaign.